and https://toobusytofundraise.com/2013/08/26/the-lay-of-the-fundraising-land/). The center of this plan is the discussion about the revenues streams that fit your organization and your capacity. There are many, many ways to present this—and I use a lot of different ways, depending on my clients’ needs and sophistication. Typically, however, I set out various ways to raise money—Individual giving, corporate and foundation, etc.—and drill down. For example, I might divide individual giving into major gifts, annual gifts, and perhaps deferred gifts. Corporate giving may run the gamut from corporate grants, sponsorships, matching gifts. And for each of these elements I will write a description to ensure we are all on the same page, the purpose of this technique for this organization and the overall strategy we will adopt, the specific goals for the next one to two years and then big picture goals further out and then the frequency of the technique. Individual major gifts would be ongoing, while direct mail might be two to four times per year. For another group, the description of the major gift program may focus on cultivation through small, intimate gatherings with prospects coming from the attendees of major events and the community. The purpose and strategy defines why this stream of revenue matters. Annual giving, for example, may lay the foundation for major gift fundraising, or it may be the way that operating funds are collected. In many cases, it will be both. Major gift programs may be focused on gifts of a certain size, regardless of how they are given or the purpose of the gift. The emphasis could be on much larger gifts over and above annual giving for a specific purpose. The goals should come from the strategic plan of the organization. However, if there is no strategic plan—or if the strategic plan does not include development (an all too frequent occurrence), then prior to sitting down to write your development plan you must ensure that you have clearly identified this year’s goals and, perhaps, next year’s. Figuring out which streams of revenue are best for you is crucial. 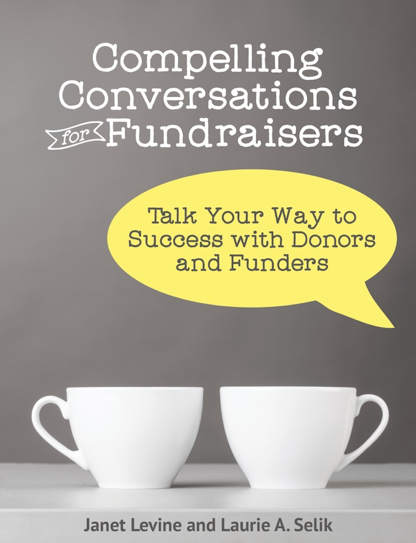 It is critical that these fit your capacity—if you don’t have a pretty large list of potential donors, for example, you may not be able to raise any money via direct mail or an event. One organization I worked with started with a list of 55 people, gleaned from their board of directors. None of these people were deemed capable of making significant gifts. However, all were thought to have an interest in the cause that fueled the organization. Personal letters from Board members were sent to each of the 55, with phone call follow ups by the executive director to almost all of them. In addition to asking for financial support, every prospect was asked to “contribute” the names (and contact information) of 3-7 others who they thought might be interested in the work of this organization. As a result, after two years, their list had grown to over 1,000 people. The decision was made that until the list reached 4,000 names, the very personal approach would continue. Then, a portion of the list would be moved over to a more traditional direct mail campaign, with the remainder getting personal letters and phone calls. The next steps of the plan is putting these revenues streams into a calendar, so you and your Board know exactly what you will be doing when. We’ll talk more on that in a later post. This entry was posted in fundraising, planning and tagged development, fundraising, Goal-setting, planning, productivity, strategic planning. Bookmark the permalink.